Apple has officially dropped the second beta of iOS 11.3, and, as expected, it comes with a number of improvements and inclusions which didn’t make it into the initial release. Out of those inclusions, the most interesting is perhaps the fact that we’ve learned about a new developer-facing framework called ClassKit. It’s not unusual for Apple to add new frameworks into its iOS SDK for developers to use and take advantage of. Every single app that you see in the App Store, which are downloaded and used daily, are based around Apple’s frameworks in one way or another, such as ARKit, SiriKit, or even just the base-level UIKit. 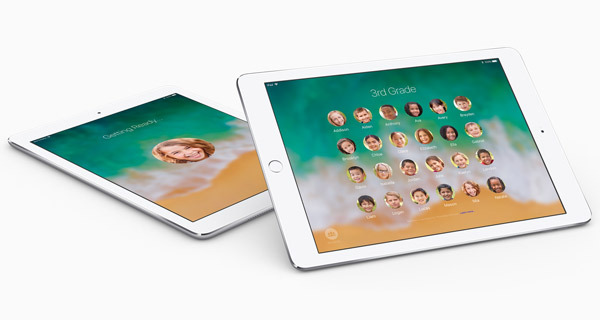 The iOS SDK is literally packed full of these frameworks designed to expose different functionality to developers, such as location and mapping, image and video rendering, and now, educational content thanks to the new inclusion of ClassKit. An initial glance into ClassKit courtesy of 9to5Mac, as well as taking into account Apple’s naming convention for the framework, seems to suggest that it’s going to be marketed directly at developers and educational institutes who are building iPhone and iPad apps for education. There hasn’t been an in-depth look at the new framework just yet to see what it actually contains and the APIs that it will ultimately expose to developers, but the first glance by developer Guilherme Rambo suggests that it will allow apps to give tests and evaluation features to students and teachers as well as have limitations in place that will essentially lock the student into a kiosk mode. Apple is yet to market this new ClassKit framework publicly or at any media-facing events, which means that the company doesn’t seem ready to make its existence common knowledge. However, when it’s ready, we can be sure that Apple will be keen to promote this as heavily as possible due to its ongoing commitments to improving global education through the use of technology. Also in iOS 11.3 beta, device owners are finally above to take back greater control over the battery and power management settings on their devices, as promised by Tim Cook. iOS 11.3 beta 2 is available to download right now. As soon as more information becomes available regarding ClassKit we will be sure to let you know.